Mike Angiulo introduced some new features of Windows 8 in Computex 2011. Windows 8 will work not only on tablets but also on any devices regardless their resolutions. Windows 8 will support applications built by HTML5, CSS, and JavaScipt. Therefore, web developers can develop their applications for Windows 8. 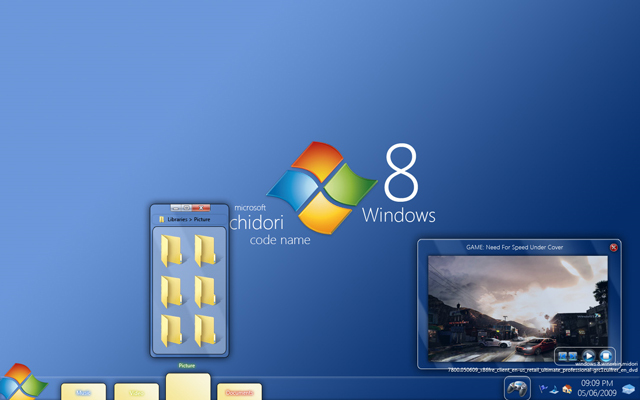 The interface of Windows 8 is illustrated by the following video. It can be controlled by touch screen, keyboard, or mouse. Windows 8 will, if Microsoft’s hardware partners come up with good designs, provide business users and the huge community of ‘content creators’ with a tablet-sized device that has a full touch-based user interface, an ability to run standard Windows productivity tools and business applications, and the ability to connect to, and communicate with, a plethora of computing peripherals. This sounds totally cool and amazing! Totally looking forward to see how it works! Yes, me 2, can't wait to see it!